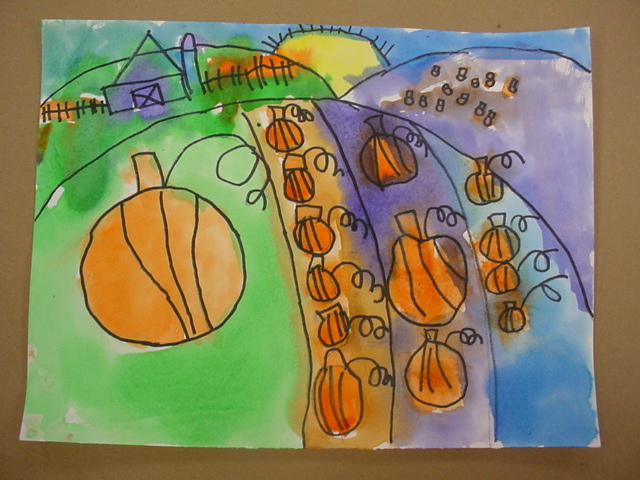 Kindergarteners learned some tricks to create the illusion of depth of space in their watercolor landscapes. 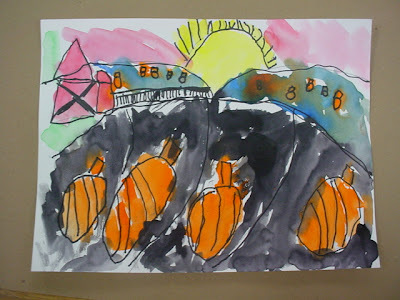 Artists place objects low on the page when they are near, and higher on the page when they are far. 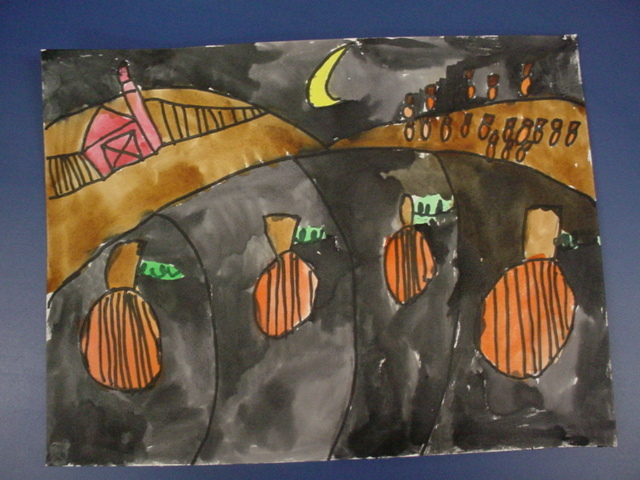 Artists also change the size of an object to show where it is in space. 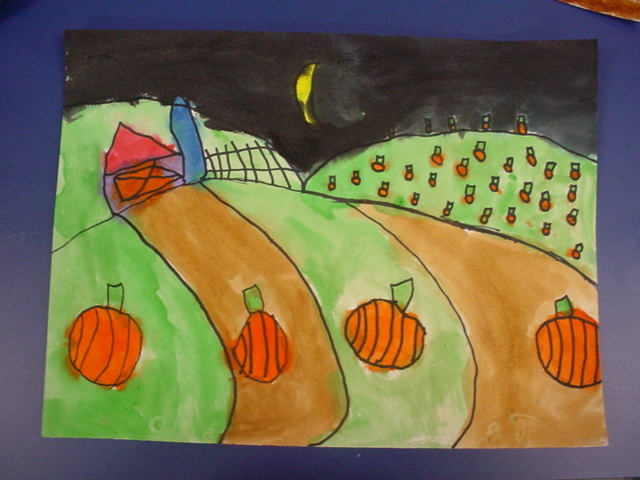 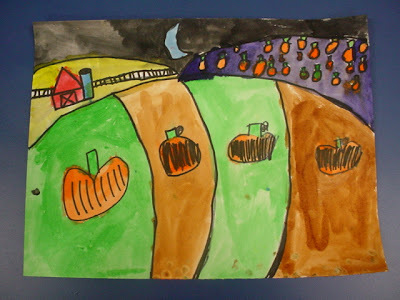 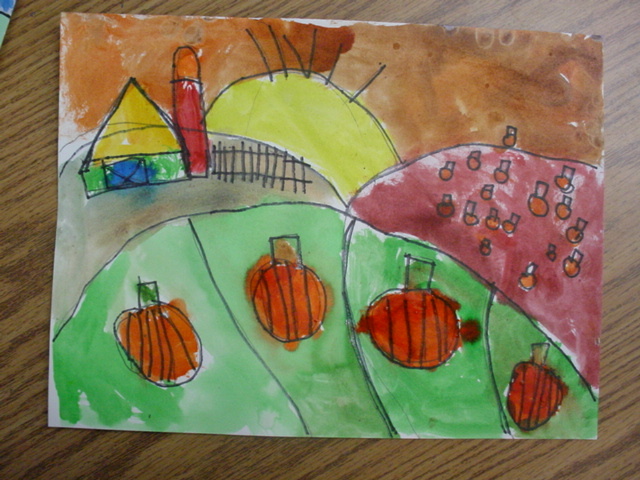 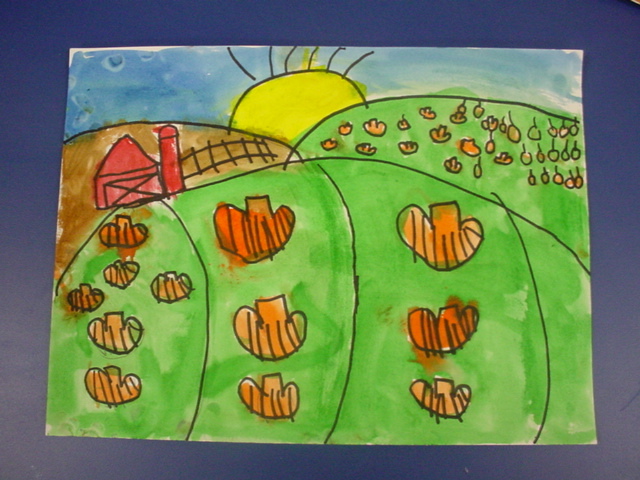 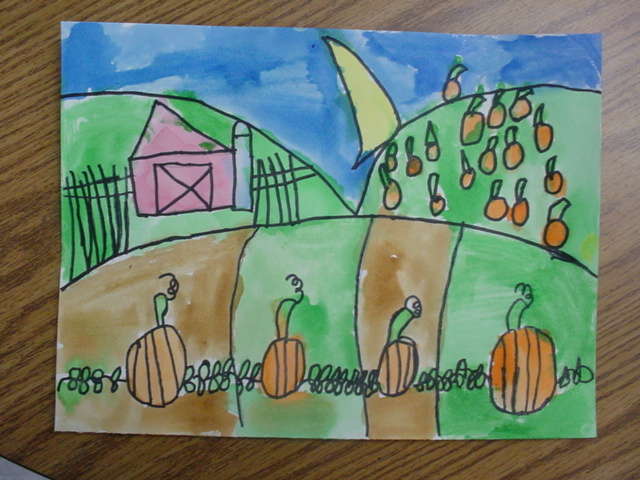 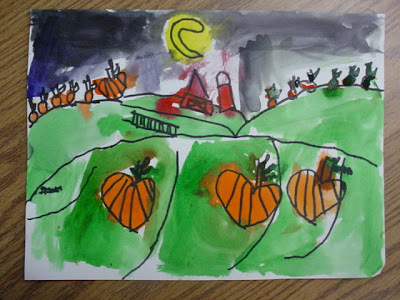 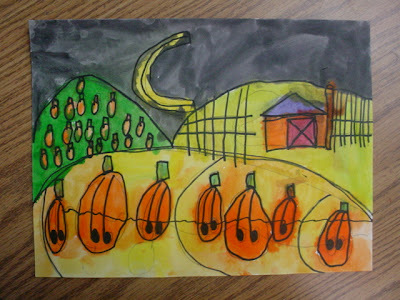 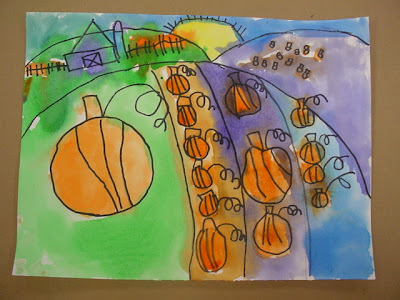 Our pumpkin farm landscapes have the feeling of rich, rolling hills like those in Grant Wood's paintings, and each student chose a daytime or nighttime setting and color scheme. Wood was an American master, known for his rural landscapes and the iconic American Gothic, a portrait of the farmer and his wife. 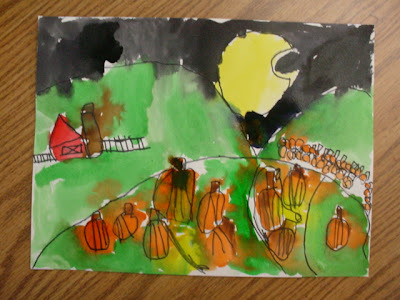 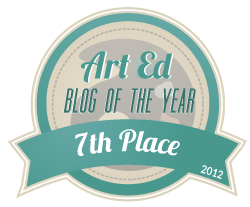 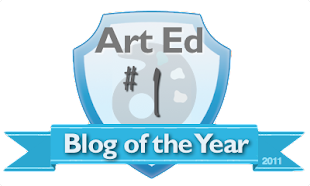 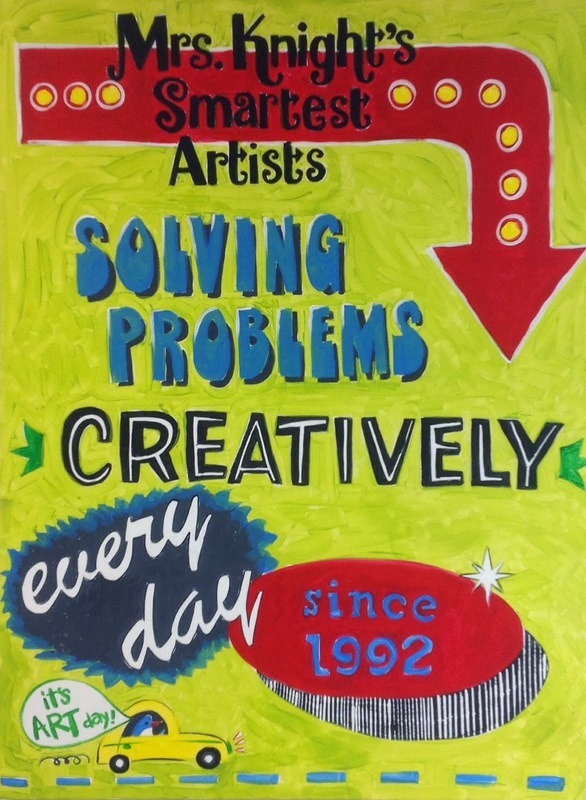 What a great project to teach illusion in painting. 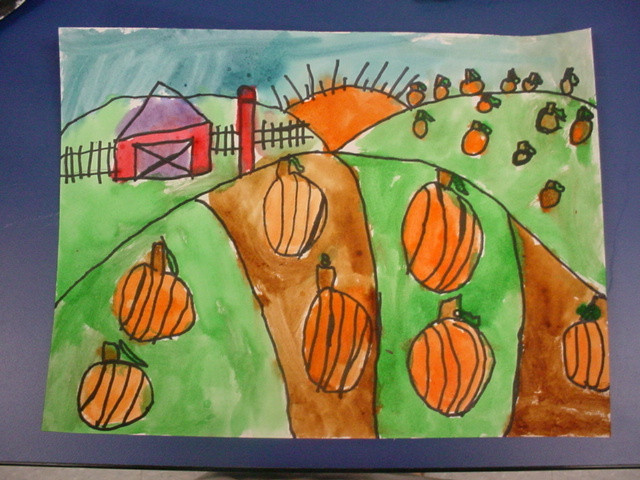 First Look at Evergreen Collagraph Prints!